One of the many facets of studying public administration is that it is a discipline where you can use your experience in government and administration to expand the library of knowledge for students. In academia, most of the instructors who teach at colleges and universities across the world are proficient practitioners of public administration: from legislators to consultants who work with governments. Literature used in classrooms and lecture halls is written not from theorists, but from officials within agencies who have dealt with that specific topic. That is why the study of public administration will grow from the classroom to the real world. Students will learn and draw from experience as practitioners in the workforce. The push for this real world learning concept comes from the fact that public administration is not a science that requires intensive time in a laboratory or a chalkboard. It is an ever-evolving discipline that requires analysis from experts and learners from outside of the classroom. Online learning has played a pivotal role in the transition from the traditional learning environment to the distance-learning environment. Through technology, we are able to present information from greater distances in almost instantaneous time. Imagine an American student wanting to learn about agricultural conditions in South Africa. Thanks to the Internet, the student can be lectured by a professor from across the world, in the convenience of their home. Distance learning has grown in the last decade. The number of online courses available on any subject matter is greater than the number offered at traditional brick and mortar institutions. As long as the student has a computer and Internet access, information is readily available at their fingertips. In the article, “The Benefits to Teaching Online,” written by Laurie Patsalides, there are several benefits to learning online. Lucrative income – Especially for those who enjoy spending time on the computer, teaching online has the potential for instructors to earn a lot of money. Flexibility of location and time – Wherever and whenever you have Internet service, you can teach. Online courses are highly interactive and effective – In an online course, it is difficult for a student to avoid interaction with the professor. In face-to-face instruction a student can mimic learning by a head nod and a smile. When learning in an online course, the student has to explain his or her understanding in words allowing the teacher to have a clearer assessment of the student’s knowledge of the course material, along with reading, writing and computer literacy skills. Facilitate higher order thinking – Online teachers have frequent opportunities to ask higher order thinking questions, which allow students to analyze, synthesize and evaluate instead of just recall. Also, as forums are in writing, the teacher can review the discussion board to interject even more higher order thinking questions during the next online meeting. Ability to teach to a wider audience of non-traditional students – Teachers interviewed about the benefits of teaching online liked that they were able to get to know and learn from students from all over the world, which broadened the online teacher’s own experience. Students of diverse backgrounds will make for interesting conversation and research papers. Intellectual challenge – Students will expect more frequent feedback from an online instructor. This will require the teacher to provide relevant course content on a frequent basis, to be organized, timely and a good communicator. 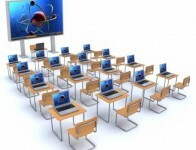 According to James Ballou in his article, “The Advantages and Disadvantages of Online Learning and Teaching That Help Define the Process,” the disadvantages to online teaching and learning include factors that result from the impersonal nature of a class that exists only in cyberspace. This can cause students to feel disconnected from the rest of the students and from the instructor. Without the traditional human-to-human interaction, the technology can impose a barrier that has an inhibitory effect on the learning process. With the advent of distance learning, the student has evolved—from the learner looking to acquire knowledge on the subject to the online learner equipped with knowledge and expertise without having to read a textbook. The electronic student is a dynamic, resourceful apprentice for any instructor. They are able to acquire any research on the topic and create reports using formatting and citation techniques available online. Plagiarism is concern for most online learning environments as documents that are stored online through university databases can be accessed by anyone. However, professors are equipped with anti-pirate software that detects copyright infringement. Although masses of essays are available online, it is difficult for a student to get away with stealing. From tenure to adjunct faculty, the online instructor is a skilled professional who has spent many years in the workforce. No longer are they required to have spent decades in a classroom to become professors. They are still required to have teaching experience, especially in large lecture halls and in online learning environments. 1) To help better illustrate the concepts to their students. 2) To educate those students who happen to be full-time workers in that field or workers who have been out of school for long periods. Online instructors also have the convenience of working remotely from institutions, places of work and in different countries. Going forward, technology will be at the forefront of education in the field of public administration. There will be less instruction in a classroom setting. In fact, there will be more interaction between students and instructors online. Instructors will be government workers, contractors and life-long professionals within this field instead of tenured professors at a four-year institution. In all, the field of public administration in academia will be one of actual practice instead of theory. Author: Andrew R Vaz, M.S., M.P.A. is a doctoral student in the Public Policy and Administration program at Walden University. He has a dual master’s degree in Criminal Justice and Public Administration from the Florida International University. He can be reached at [email protected].